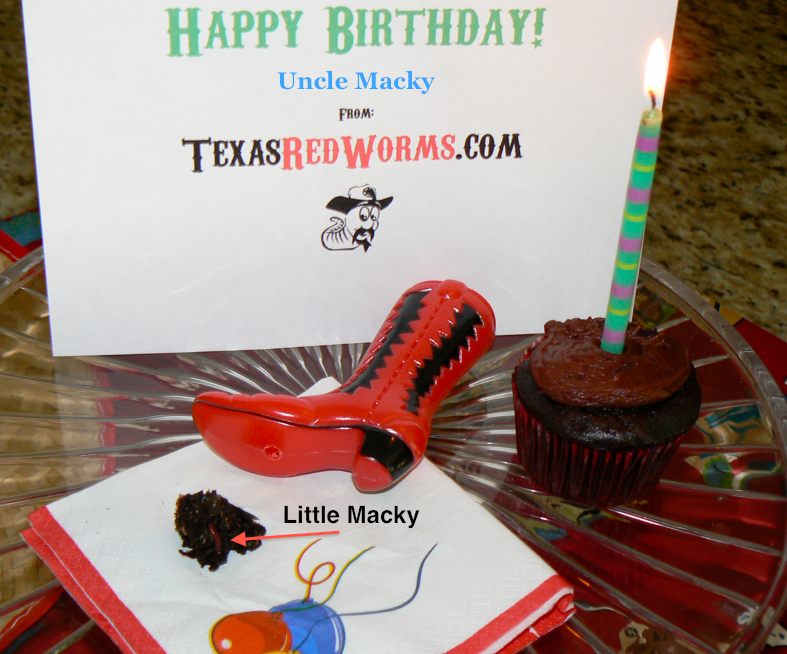 TexasRedWorms.com wishes Marc McClendon “Uncle Macky” a very Happy Birthday! Included a picture of the little red worm we named after the birthday boy. Happy Birthday Marc and “Little Macky”!